In total we have 12 Pre-School locations spread througout Katwijk, Valkenburg and Rijnsburg. 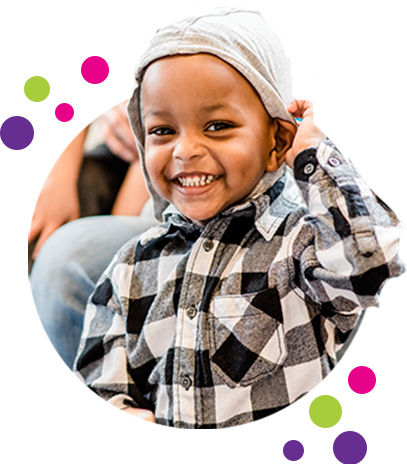 Our core mission for Pre-School is to create optimal development opportunities for all children aged 2 to 4, by offering versatile and suitable opportunities to play. Pre-School is a place to play. Playing is at the heart of our work. For most children, it is sufficient to offer an inviting, versatile and safe environment to play in. After all, especially when they are young, children develop and learn through playing. While interacting with other children and members of staff, children increase their vocabulary, develop their motor skills, improve their social skills, etc, in a playful way. Each child in his/her own way and at his/her own pace. Pre-School is aimed at all children, and so is the Toddler talk program. This is not just for toddlers with an impending developmental gap. We make sure that all children can develop basic skills in order to avoid “development gap control”. Would you like more information about Pre-School? You can find an overview of our locations here. At Pre-School we have a fixed daily routine. This routine gives the toddler clarity, structure and grip. It helps to make your toddler feel at home quickly. Upon entry, your toddler is free to choose what he/she wants to play with. Before you say goodbye, you can spend a little time playing together with your child in the play corner or have a look at the material on offer. During the time spent at Pre-School there will be a good balance between sitting and listening on the one hand and being active on the other hand. The pedagogical staff ensure a routine in which different activities alternate and which gives your toddler ample opportunity to play. At all our Pre-School locations, we work with two certified staff members per group. The size of the group is, in accordance to the law (Wet Oké), set at 16 todlers per morning or afternoon. In the case of a combined group with day care, it’s set at 14 children. Our Pre-School groups comply with all current safety and quality requirements. The mail goal of our Pre-School is to offer children the best opportunities to develop. This means our pedagogical staff will cover all development area’s with the activities they offer the children. In addition to stimulating development, supporting child and parent is very important, especially if the the child does not develop as expected. The Pre-School Education program Toddler Talk serves as a guideline to our pedagogical staff. Because of this program, we work in a theme based manner. The activities that flow from the different themes, do not focus exclusively on language stimulation, but on all of the different development areas. They constantly try to think of new activities, both group and individual activities, that are challenging for all toddlers at their different levels of development. While doing these activities, the children also learn from each other. More information about the PSE program can be found here. To play, meet, develop, signal and support are the main focus points and together are known as ‘ambition level two’. This means that children can play safely with other children. Attention is paid to all areas of development and the members of staff are trained to signal developmental gaps in children. Extra care is given to toddlers with an imminent disadvantage. In addition, we support parents when they have practical questions about parenting. The Pre-School groups meet the requirement of two qualified pedagogical staff members per group. The Care Plan has been developed to support our pedagogical staff in their approach when there are concerns about the development of a child. An equal approach is the main focus here, so we provide equal opportunities for all toddlers in the municipality of Katwijk. In accordance with the statutory obligation, Peuterkring has established a Reporting Code for Domestic Violence and Child Abuse. The pedagogical staff working at the Pre-School locations are aware of the contents of this Reporting Code. Based on this responsibility, they are expected to be alert to signals that may indicate domestic violence or child abuse and to respond effectively to these signals, while respecting the privacy-rules. The Reporting Code is available for inspection at all Pre-School locations. If you have questions or would like support on this subject, you can turn to our pedagogical staff or the Pre-School coordinator. The Centre for Youth and Family can also help you with these matters.